Inflammation got you down? I feel you. Years of playing professional volleyball and pushing my body to extremes has left my knees on par with my great grandmothers. Chronic inflammation is something that I am constantly trying to diminish. Of course I have come a long way in the past few years. My diet of inflammatory foods like sugar, gluten and processed foods is a thing of the past. When I began studying nutrition I took more interest in what I was putting in my body and I realized that there were many things I could be eating to help propel me forward. Some of my favourite things to use in the kitchen are herbs and spices. Not only do they make everything tasty but often they have specific healing compounds. This recipe below includes turmeric, ginger and cinnamon, all known to be helpful in decreasing inflammation. 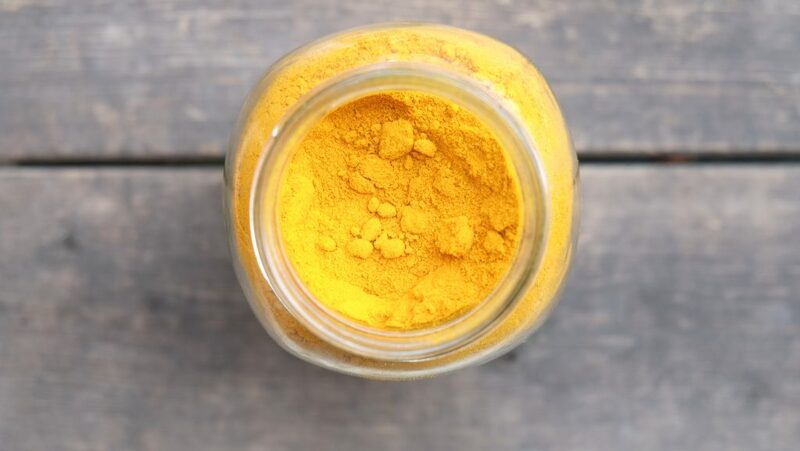 Turmeric. 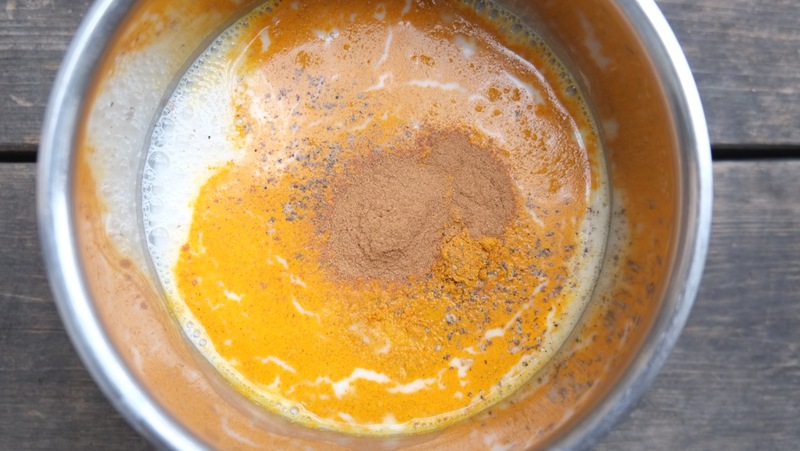 Curcumin, the active component in turmeric is a powerful antioxidant and anti-inflammatory. Good news to athletes or those that have cartilage damage like myself , curcumin has been shown to relieve joint cartilage degeneration, reduce cartilage inflammation and increase the metabolic activity of chondrocytes. Cinnamon. Cinnamon is a delicious addition to any elixir and we know that it helps balance our blood sugar (try it on your watermelon next time) but it has also been shown to decrease damage caused by Inflammatory Bowel Disease. Ginger. Ginger has very powerful anti-inflammatory compounds called gingerols. When these gingerols are extracted, they are very effective in preventing joint inflammation. Ghee. Ahhh how I love ghee. Ghee is clarified butter and the lactose and casein are removed through heating. It is so simple and easy to make (I will write a blog post on it soon!). For this recipe it is included because fat helps the body to absorb turmeric and utilize the curcumin. Black pepper. A powerful antioxidant and antimicrobial itself with its phytonutrient, piperine, it also helps turmeric to absorb into the body. And with all of these powers combined….. 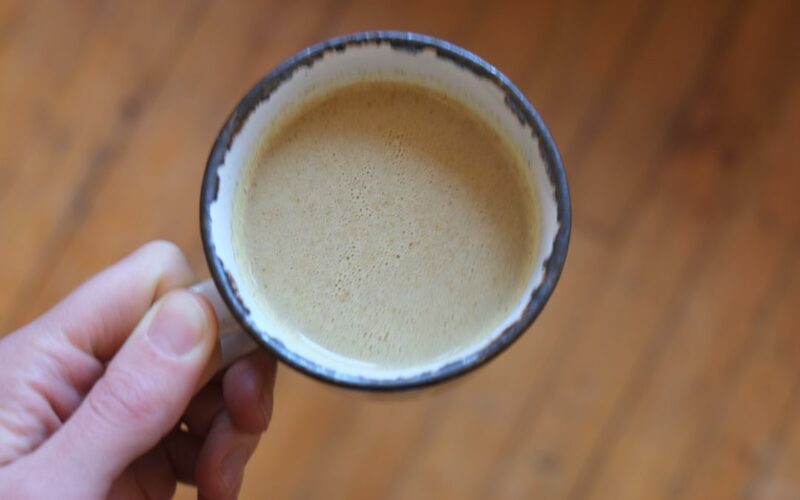 This warming, elixir is packed with anti-inflammatory compounds like turmeric, ginger and cinnamon. 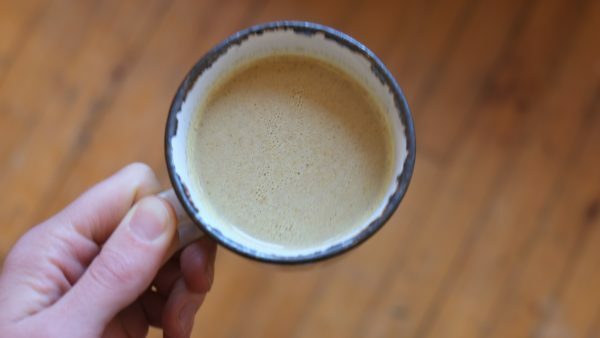 A delicious drink for a cozy evening on the couch while you rest those hard worked limbs! Heat ingredients on medium heat and whisk together.